By her own admission, this nomadic lifestyle suits her adventurous spirit. 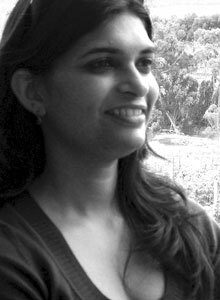 An avid reader, she loves everything—from literary classics to biographies to management books to ‘chick lit’. She started off by writing a blog—a funny take on her life and what she saw around her. A diehard romantic, she loves all kinds of love stories and hopes to create many of her own. “Yours Accidentally” is her first book. You can reach her at www.madhurnevatia.blogspot.com and on FB at Author MadhurNevatia. Awesome read! Fell in love all over again!